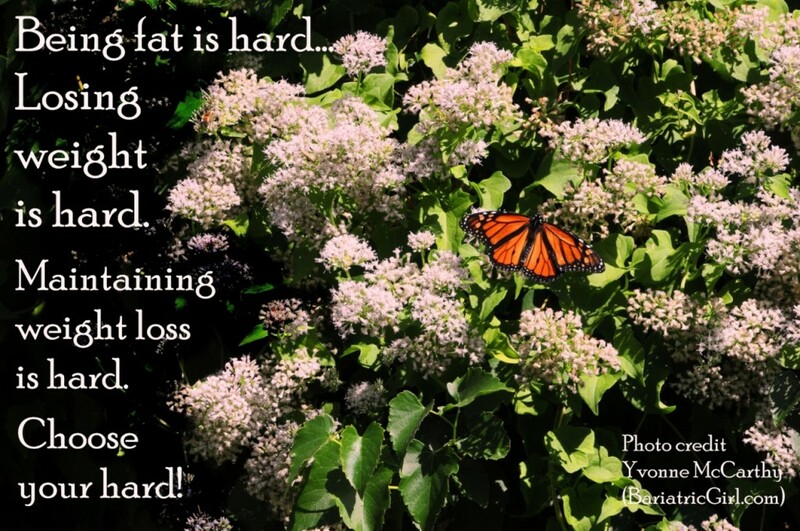 Bariatric Girl » Blog Archive » Take off those regain glasses and turn it around! Next Article« What WLSFA.org is all about….saving lives one grant at a time. Take off those regain glasses and turn it around! The moment regain becomes a problem we put on those regain glasses and NOTHING looks good. A few years ago I distinctly remember reading a post from a woman that went something like this. I hate my hair. I don’t like my face and don’t know how to use makeup. I hate what I’m eating every day and I’m sick of it. Oh and I gained 5 pounds. One of my most often repeated quotes….”we are rarely upset for the reason we think”. Of course I assume you can guess what she was really upset about. I wrote her and told her to get a cute haircut, go to a department store and get someone to show her how to do makeup (free) or check out thousands of makeup videos on You Tube. I also told her she could change what she eats every day. Of course none of that made her feel better because she didn’t FEEL like doing any of that because she was wearing her regain glasses loud and proud. It is a vicious cycle because you can’t fix the regain until you feel better and you won’t feel better unless you fix the regain. It seems that for most people everything looks pretty awful through those regain glasses. I want to help you take them off. You say “Yeah right…like I haven’t tried… and mostly….. I don’t FEEL like it. I don’t feel like doing anything.” I have often pointed out that when you were at this weight on the way down you were ecstatic! Do you see how your perspective totally messes with your head? 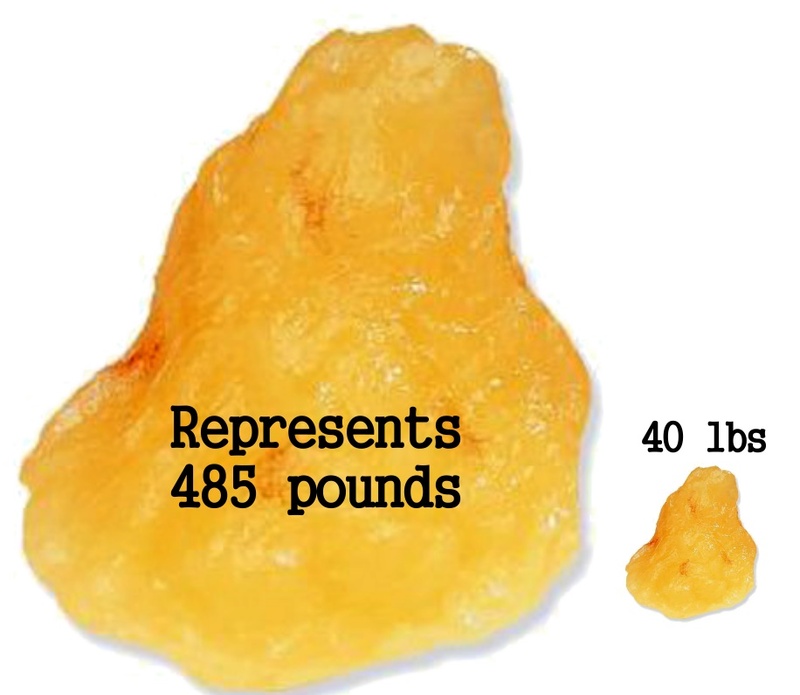 Why do we obsess about the lowest weight we ever reached instead of constantly realizing what our highest weight was and being grateful we aren’t there? And if you choose to obsess about your lowest weight, doesn’t it make sense to move towards doing something about it instead of continuing to walk down regain road? Unfortunately we have this big adjustment to make after weight loss surgery because the first year we are wearing the “honeymoon glasses” and EVERYTHING looks GREAT! Remember how wonderful everything was when you lost your first 30-40 pounds? Yet you were heavier than you are now. You could hardly mess up at all the first year. It was all good! One day you wake up and you can’t find your honeymoon glasses. You start to take for granted the little things like being able to tie your shoes, paint your toe nails, fit in an airplane seat….. and the next thing you know it isn’t enough anymore. Some of us hang in there for a while or even a long while and eventually something shifts and you start to think about how much you miss those honeymoon glasses…. you start looking for that feeling in other things like our old friend Mr. Food. He’s tappin’ you on the shoulder every day…”Pssst….remember me? Remember how much fun we had? Oh come on… a little sum-um sum-um won’t hurt you”. All the while your old friend has some regain glasses stuck in his back pocket just waiting to slide them on your face. One of the most extreme cases of the perspective meter being out of whack was a woman I met who had lost 485 pounds. Not a typo! She lost 485 pounds but she had gained 40 back. She was all out of sorts and literally more miserable than when she weighed her heaviest. I told her not to give that 40 pounds the time of day and dust it off. We give that regain so much power and of course we can pile plenty of shame on top of that for good measure. Shame is toxic, shame keeps us down. Shame keeps those horrible regain glasses cemented to our face. Everyone is different but here are a few suggestions. You can’t build Rome in a day but you can always do the next best thing. Look at your before picture in the morning and FEEL what you felt like. Sit it that for a while. I do that every morning without fail. Remember the things you wanted so badly. BE GRATEFUL you aren’t there. If I could put you back in that body for a week you would be SO grateful to be you right now. Quit thinking about the perceived mountain you have to move and pick up the shovel and start with one scoop at a time. Instead of Nike’s “just do it”, change it to “just start”. It’s too overwhelming to plan into the next century. I can hear the questions now….how long will this take? It DOES NOT matter. Just move toward your goal instead of away from it….. just for today. Today is all that counts. Get the crap food out of your house. I know many people who find creative ways to do this with a family that feels they have to have the crap food. Put it in a place it can locked up but you’d do your family a favor by getting it out of their reach as well. Sugar and junk food is as addictive as any drug and they will guarantee that you will still be wearing those regain glasses. See my “M&M” story in this post. Find a way to move your body that you can enjoy. I LOVE to dance. I hate to run….I wanted to love it but I don’t. I wanted that runner’s high and I just could not get it. I love yoga and if you think you can’t do it, watch this! I describe yoga as slow dancing with yourself. Abby Lentz from Heartfelt Yoga is a dear friend. Look her up, she has DVD’s. You won’t do anything for very long if you perceive it as suffering. When you eat healthier food envision how you are nourishing your body. Remember it will make you feel better and look better instead of putting on more weight which equates to depression, physical pain, more misery and a shorter life span. Again the most important part of this is to stop the bleeding that has begun with regain. Nothing in life is easy so here comes your choices……choose your hard. Thank you SO MUCH for this. I am up about 15-20 from my “lowest weight”. I was told by my surgeon that *some* regain will happen and I’m right where he said it would be, but I have been just like what you have said: down on my self. So I am working at it, and I’m going to get my arse up off the couch right now and get my workout in! 🙂 Thank you! I didn’t see another post-op for three years after I had surgery so I didn’t know anyone had regain. (this was almost 13 years ago) When I started to regain I just fixed it because I “assumed” that was what I was supposed to do. I literally didn’t know any better. I didn’t listen to them when they told me later not to have unrealistic expectations. I did a blog post a few years ago here about unrealistic expectations. There’s a difference in unrealistic expectations and believing you can work towards a goal that isn’t easy but is certainly attainable. I met people that had regained because they had been told they would regain. I was SO lucky I didn’t know any better. By the time I met other post-ops I had my new habits in place for three years by then. Be what you want to be Debra…go for it! I have gained quite a bit and can’t seem to get back on track. Holly read the post again. Remember to “just start”. Most of all look for the things you can change and take it in one day chunks so you don’t get overwhelmed. Ask for help, attend support group meetings, make a plan. I wish you the very best. Yvonne this article couldn’t have come at a better time. Just this evening I had coffee with a friend so I could open up my heart. I had lost a total of 199 pounds and regained 88. I am at wits end because I don’t think I really dealt with food addiction. I am in the process of trying to find counsel with someone who works with addictions. There is a lot more than what I am sharing but wanted to say thank you for an article that is a keeper. Wanda I want to share a blog post I did four years ago about a friend of mine who gained 70 pounds and never reached her goal weight until her ninth “surgiversary”. She is still at goal. You can read it here. It is never too late to turn it around. I’m so pleased you are seeking out therapy….so pleased. I hope you’ll touch base with me and let me know how you are doing. Don’t blame yourself for not knowing about food addiction…I didn’t either until I finally saw the writing on the wall. You are on your way to turning this around and I’m so happy for you. You are right that regain is not something you need to worry about because many of us tend to worry well into the next century. Education however is something that will help you on your journey. Congrats on your surgery! I know it means so much to be healthy and that’s exactly why I do this. I want you to stay healthy and sharing other people’s experiences can help you avoid some of the speed bumps down the path. If you look through some of my other posts you’ll see how often I encourage everyone to find your grateful voice and live with an attitude of gratitude. It’s amazing how much easier it makes your every day life. I hope you’ll keep me posted! We recently built some custom post WLS lab tests for the bariatric community at info.wellnessfx.com/bariatric starting as low as $185. I would love to speak to you about being featured on your blog for a paid rate, or how we can get these lab tests communicated to your followers and network.